A novel meteor shower is due to be visible in the night sky late on the 23rd and early morning of the 24th of May. Named the Camelopardalid meteor shower, the shower will emanate from the direction of the constellation Camelopardalis hence the name. 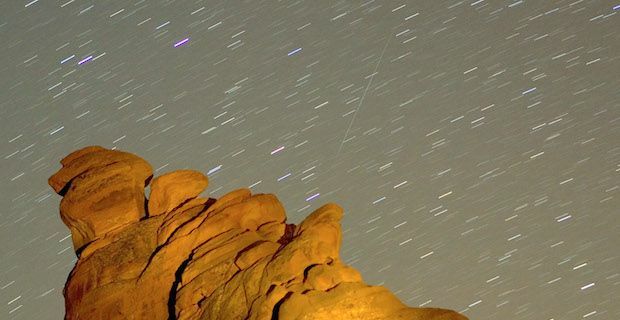 The debris that will fuel the meteor shower is being traced from a comet called 209P/LINEAR which was discovered in 2004 by the Lincoln Near-Earth Asteroid Research initiative. Comet 209P/LINEAR is known to complete one full orbit of the sun every 5 years. Fragments of rock and ice are expected to breach the Earth's atmosphere to create a memorable night show that should be most visible over North America. Forecasts have been made that stargazers will be able to witness up to "200 shooting stars per hour" if prediction models are accurate. Robert Massey, from the Royal Astronomical Society, explains "This is material that broke off the comet in the early 20th century. It is only now that they are in position for the Earth to move between them.". Unfortunately, the meteor shower will take place after sunrise in the UK meaning that we will miss out on quite the show. This follows a stunning Solar Eclipse last month which was also unfortunately not visible in the UK skies.